Making a birthday card can be fun when using a card making program. 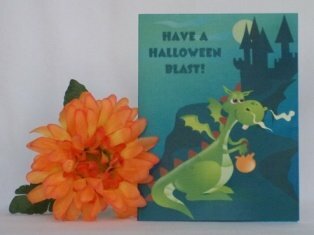 You can create lots of handmade card ideas and birthday card ideas on this site. With so many stickers, paper and embellishments available, you can come up with lots of ideas when making birthday cards. For several of my homemade card ideas, I turn to a software program called Ecard Wizard to help me with my handmade card making projects like this birthday card design. 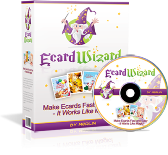 Ecard Wizard has some pretty cute designs so you can come up with lots of paper card making ideas to make your own birthday cards and cards for other occasions. Ecard Wizard also lets you create the sentiment so you can make your own custom cards. 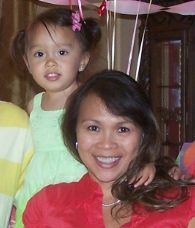 I like using their images and templates and that's how this handmade birthday card was created. 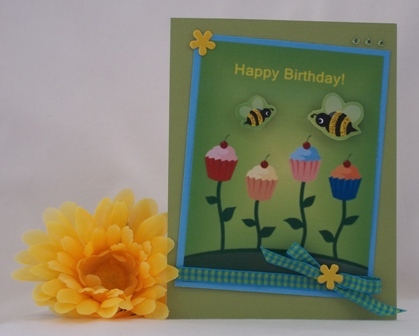 To make a birthday card with this software program, I used an existing template and deleted the bumble bee images. I then saved it as a pdf which I then printed out on a color laser printer. I used the same template and deleted the cupcake image which left the bees still on the digital image. Again, I saved the pdf and printed that page out. I carefully cut out the bees and added yellow glitter. For me, birthday card making can be relaxing when you have a software program that can help you with your homemade greeting card ideas. Ecard Wizard lets you create birthday cards straight from an existing template and all you have to do is print it out and fold it. When you make a birthday card or any of your other hand made card ideas using glitter, cut out the image first and then add the glitter. That way, it doesn't get as messy when you are trying to cut the image. I added foam tape to the back of the bees and then adhered them onto the card. Homemade birthday cards should be festive so I like to add all kinds of embellishments. When you make birthday cards, trying experimenting with brads, ribbon or adhesive gems. You can use all three accents like I did, or just one. 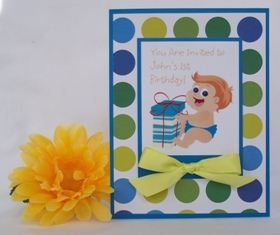 That's what's great when you create your own birthday card, you can design a birthday card to suit your own style. So make your own birthday card that friends and family members will cherish.